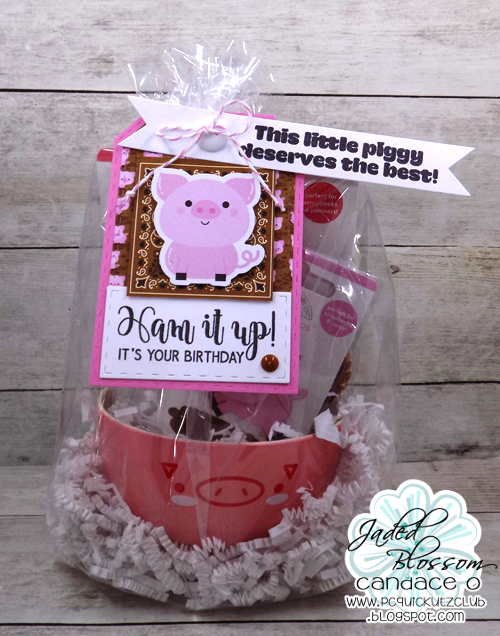 Jaded Blossom: Ham it up!! Hey everyone! It's Candace from Candi O. Designs and it's my day over at Jaded Blossom. 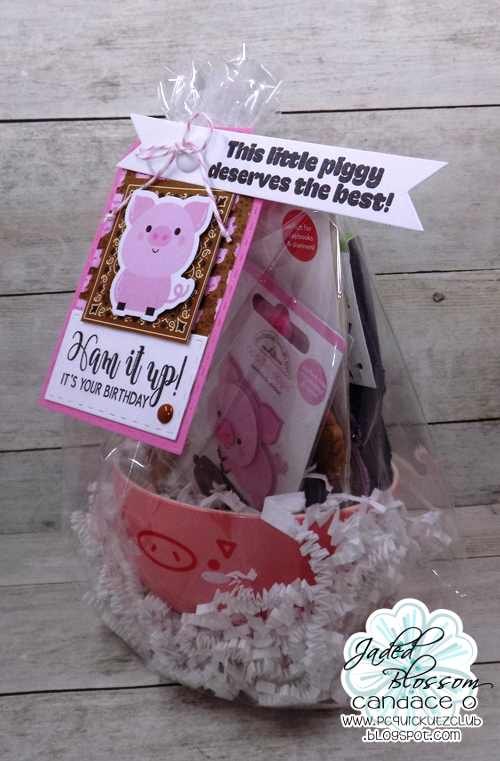 My friend loves pigs and her birthday is coming up so I found this pig bowl and filled with some piggy stuff. 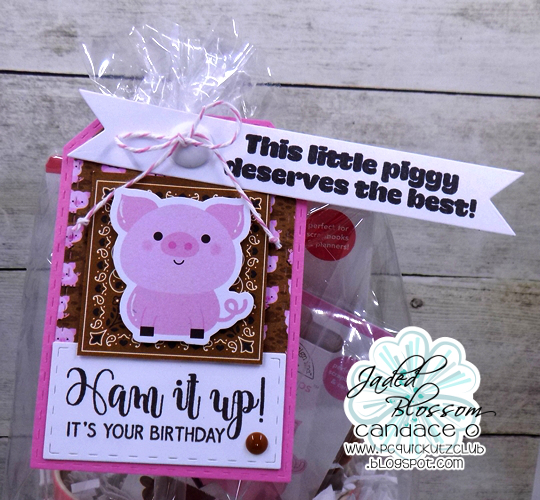 I added a tag with the perfect pig papers by Doodlebug and dies and stamp set from Jaded Blossom. I know she will love it!! OMWORD! To Stinkin' CUTE!!! LOVE it and so will your friend! OMG! Too CUTE! Love this!